3 Stunning Bollywood bridal makeup looks have been decoded. Take a look and get inspired! While we have a love-hate relationship with most of the Bollywood girls, namely because of the uber-hot men they marry, there is another reason why we love to hate and hate to love them – reason being, their bridal makeup. This is exactly why we are here talking to you today about the same; we shall focus on three gorgeous Bollywood brides and their bridal makeup done on their wedding day. You can seek inspiration and decode the same in your own ways, with the help of your personal bridal makeup artist. 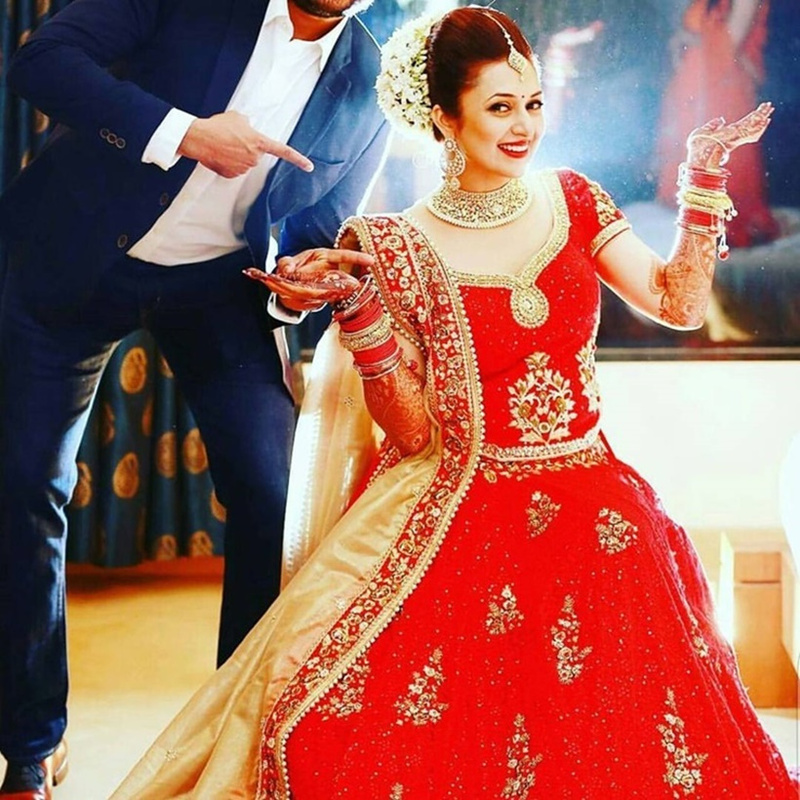 The social media world was taken by its horns when TV actress Divyanka Tripathi married fellow TV star Vivek Dahiya, and we couldn’t stop drooling over the various looks she flaunted (pre-wedding to the reception alike). 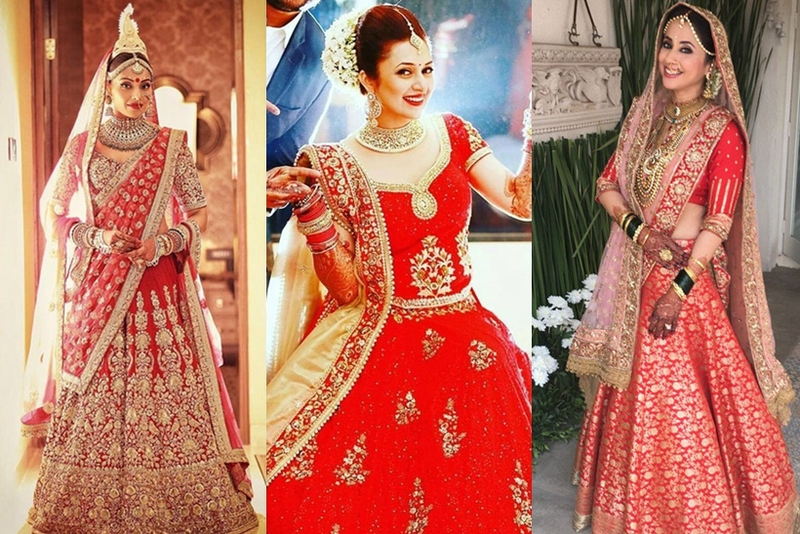 For the wedding, Divyanka was a princess in a red and gold lehenga, with heavy gold jewelry. Makeup wise for the bridal look she chose to keep the warm tones alive. Healthy doses of peach-brown blush on the cheeks that matched her bridal ensemble, arched brows and hot red lips, each of them making a stunning statement in their own ways. To further add to the oomph, the actor chose to wear her eyes in shades of gold and copper red. With dark mascara and kohl liner to grace the beauty, Divyanka’s wedding look stole the show and created a rage across many social pages. What we loved about her look was the natural contouring done and the hot red lips. Bollywood star Asin had two weddings, a Christian one where he makeup was kept as natural as possible and a Hindu style wedding, with the winged liner gracing the eyes of the diva. 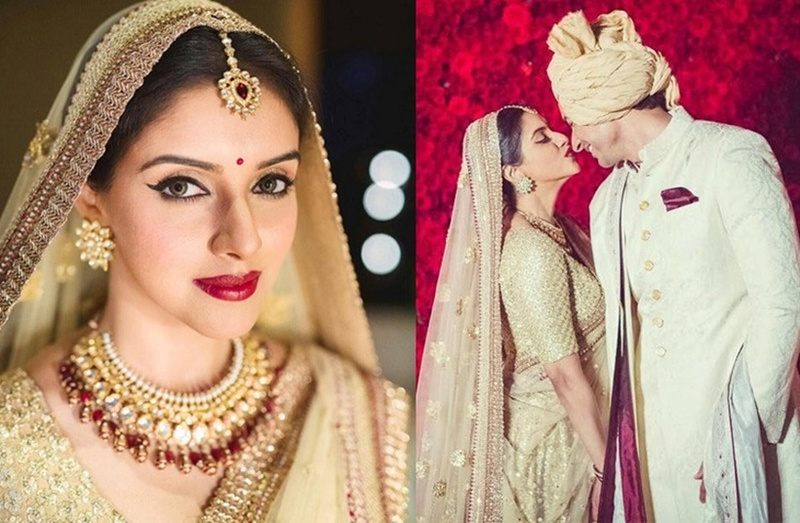 For the same, Asin banked on being the regal vintage bride it seems, with a light dose of pink blush on the cheeks, cool toned semi-gloss lipstick for the lips, natural cinema secrets foundation for the face and light contouring for the cheeks and the chin- however, the eyes are what stole the show. The actress played with dark mascara to enhance the lashes and had heavy doses of liner applied with a thin brush for the winged liner flick to stand out classy. Quite a minimal touch for sure, but the winged liner worked and that is so Asin as a signature style for brides that want it minimal! 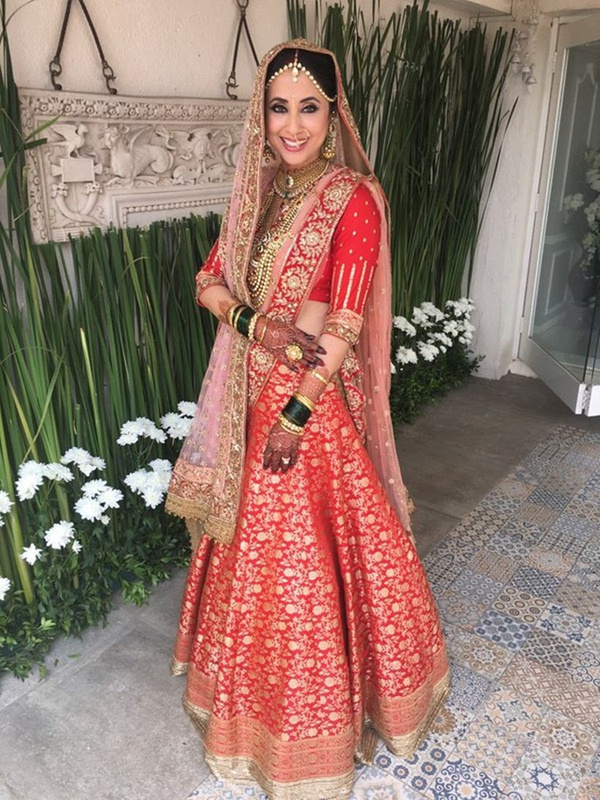 The bubbly, chirpy and very coy actor, the one who stole hearts of many in her famed movies, silently tied the knot to a Kashmiri businessman earlier this year. Stunned as we were, we also were happy for the actress. Urmila stole the bridal look with sultry eyes. Quite on the lines of the smokey look, the actress kept it minimal and very seductive with her eye makeup. Healthy dose of pink to peach blush, pink lips and perfect contouring over the natural cinema secret foundation were perfect; what made the look oomph out in ecstasy was the eye makeup so sultry and sizzling. The eyes are smudged which you too can emulate using two strokes of dark kohl on the upper and lower eyelid. Use an angular brush to smudge the same into the crease and on the lash lines. From the inner corner to the mid section of the eyes, use a light gray shadow in matte tones, and from the mid section to the outer corner, use a dark shimmer gray touch. Use a blending brush to blend into the eyelids and apply two strokes of mascara on both lashes to enhance the look. Fabulous weren’t they? Do let us know which actress’s wedding look stole your breath?